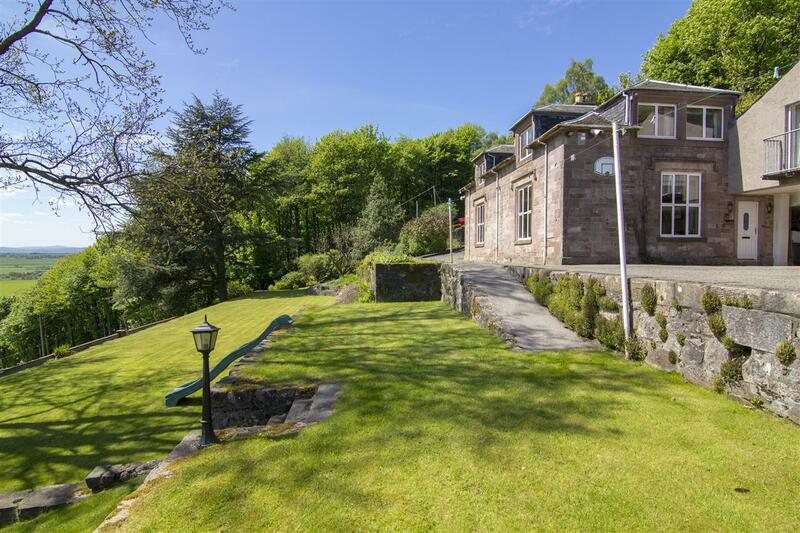 Superb south facing six-bedroom country family home. 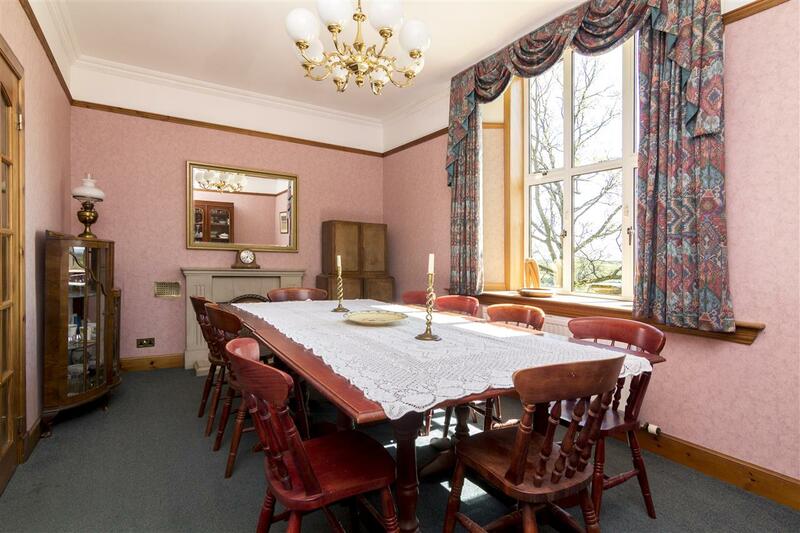 Six bedrooms, four en suite. Additional large room with exercise pool. Elevated site enjoying panoramic views. Oil fired central heating and double glazing. Triple garage plus double car port. Henderson Roche are thrilled to present to the market The Roundal, a superb prominent south facing, six-bedroom country family home. 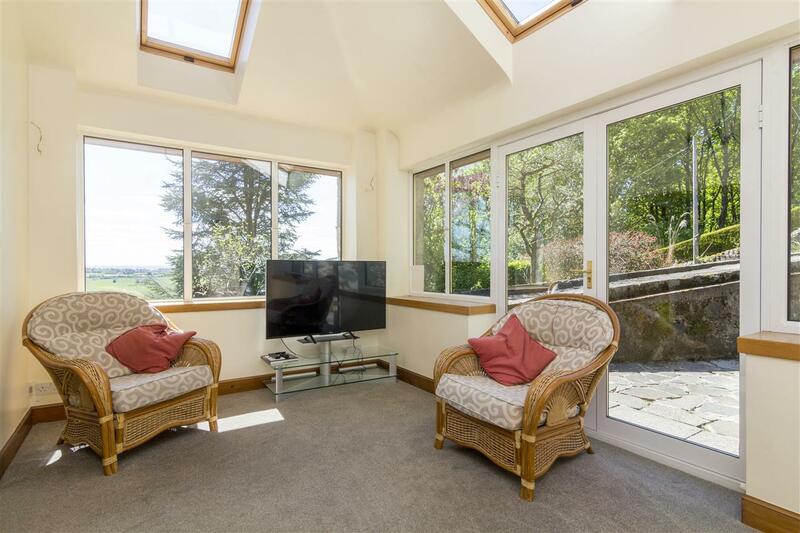 The Roundal sits on an elevated site enjoying panoramic views to the front, with the Ochil Hills rising behind. 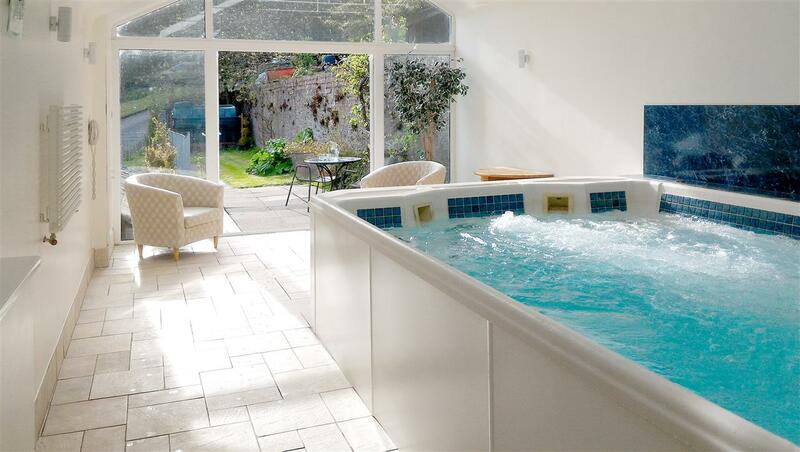 Offering spacious and flexible accommodation, four of the bedrooms include en suites, three full public rooms and an additional large room containing an exercise pool. There is also a separate apartment above the garages. The original building is traditionally constructed using an elegant pink sandstone with delightful detailing under a traditional slate roof. 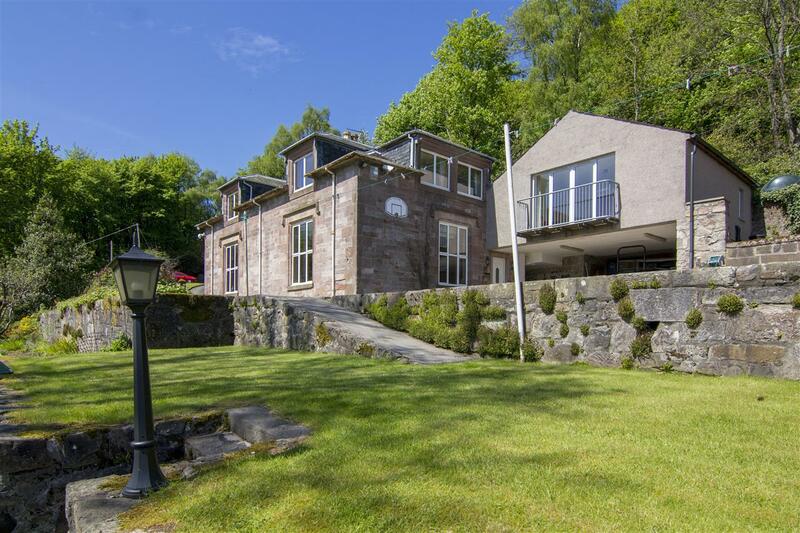 The house has been modernised and extended to form an outstanding family home. 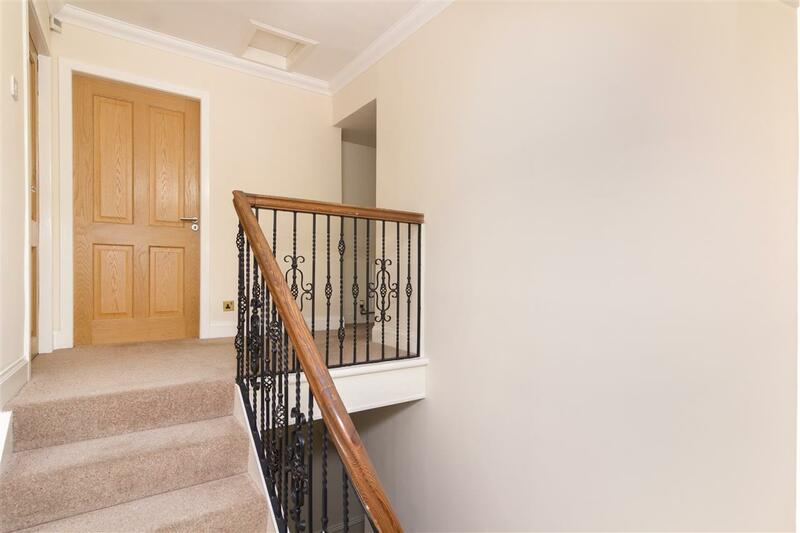 The access to the house is by a large vestibule, with ample built in cupboards including cloaks, which leads to the hallway where there is a ground floor toilet with two fittings and under stair cupboard. All of the public rooms take advantage of the spectacular view. The main lounge has a focal point wood burning stove while the dining room has a feature fireplace. 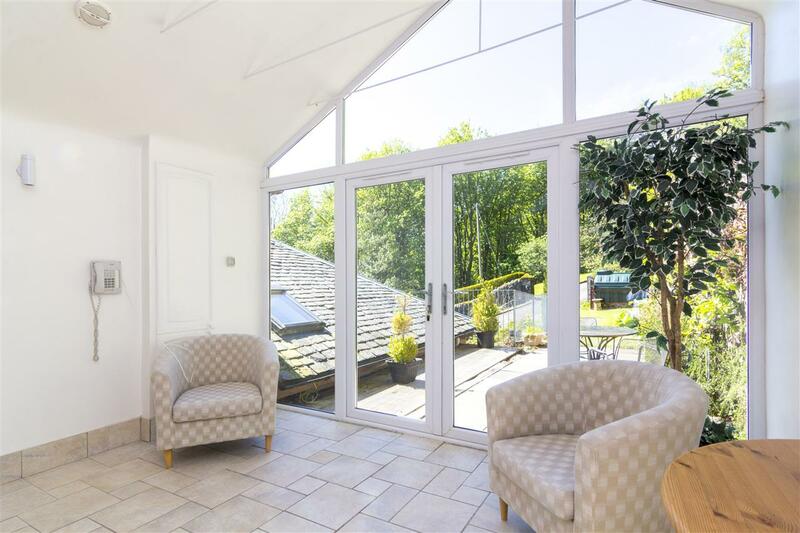 The sun lounge is accessed from the dining kitchen and is a thoughtful modern extension with large windows creating a bright family space with French doors leading to a private patio. 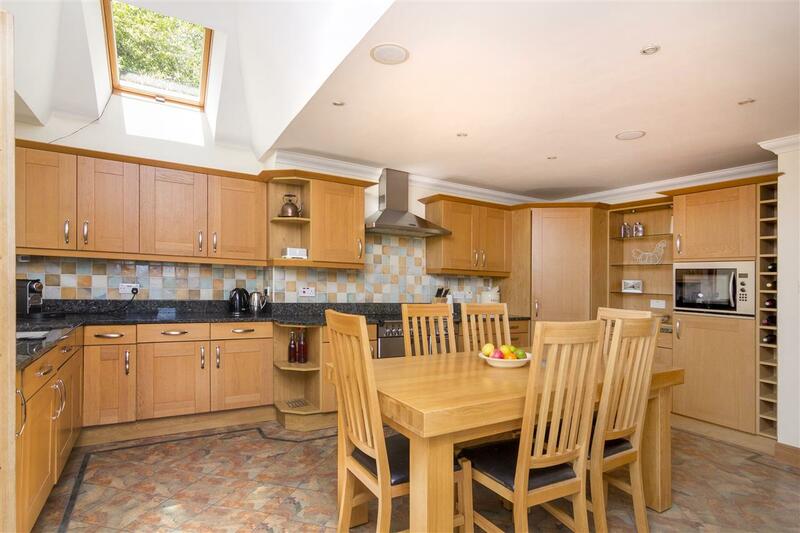 The dining kitchen is an excellent space with French doors to the front and rear roof windows. 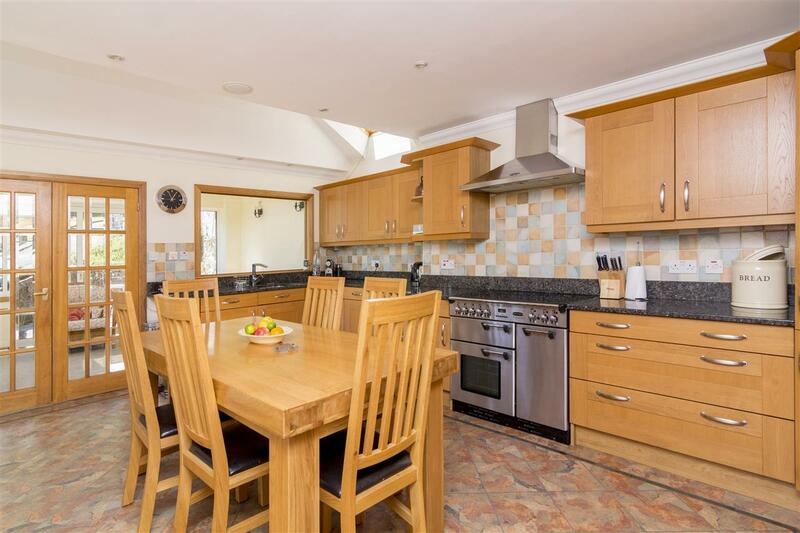 The kitchen has a comprehensive range of units and a ‘Rangemaster’ cooker with double oven and separate grill. 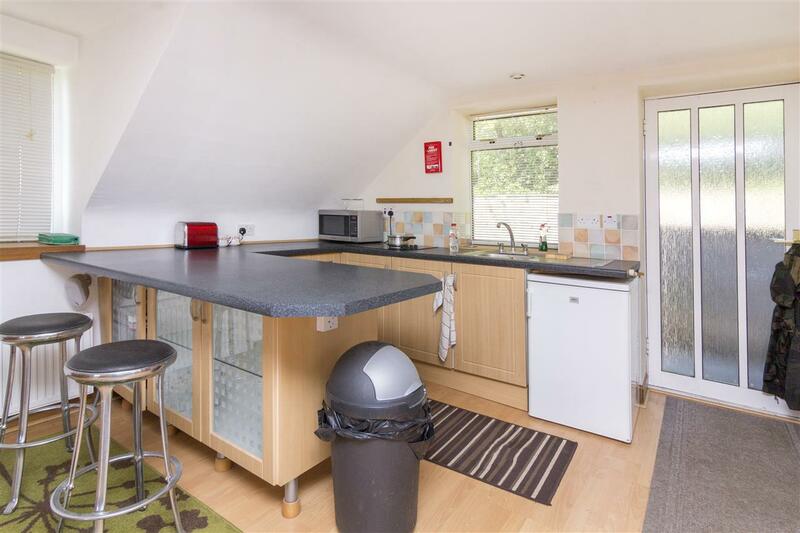 There is a large integral fridge, microwave and dishwasher. The ground floor is completed by a good sized utility room. 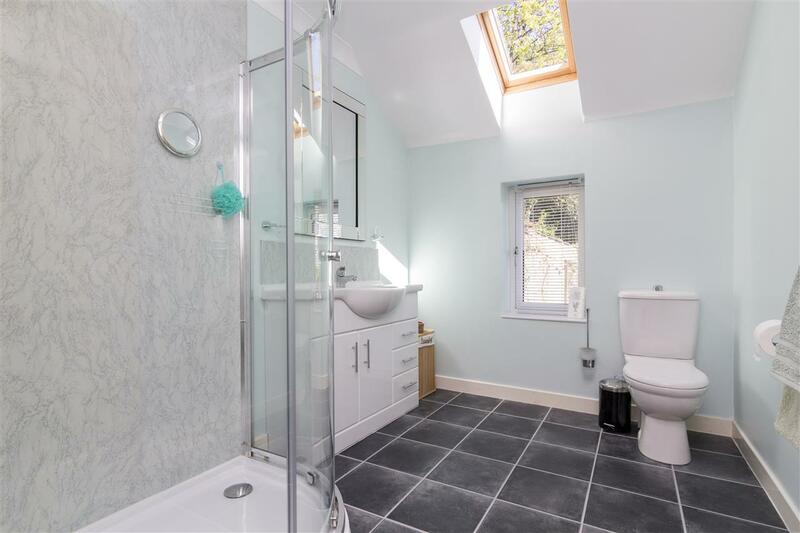 At the first floor landing is an airing cupboard with modern tank. 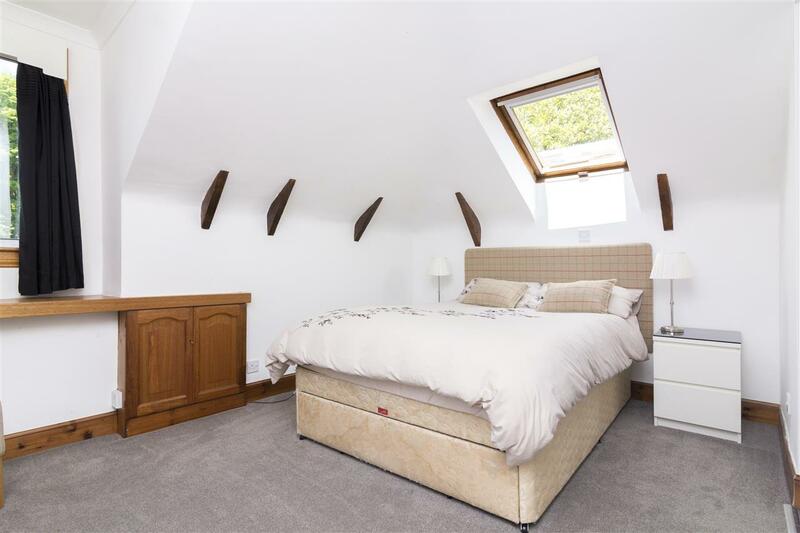 The master bedroom has windows to front and side and comes complete with a fantastic range of built in wardrobes and storage. The en suite shower room has a white suite with integral units. 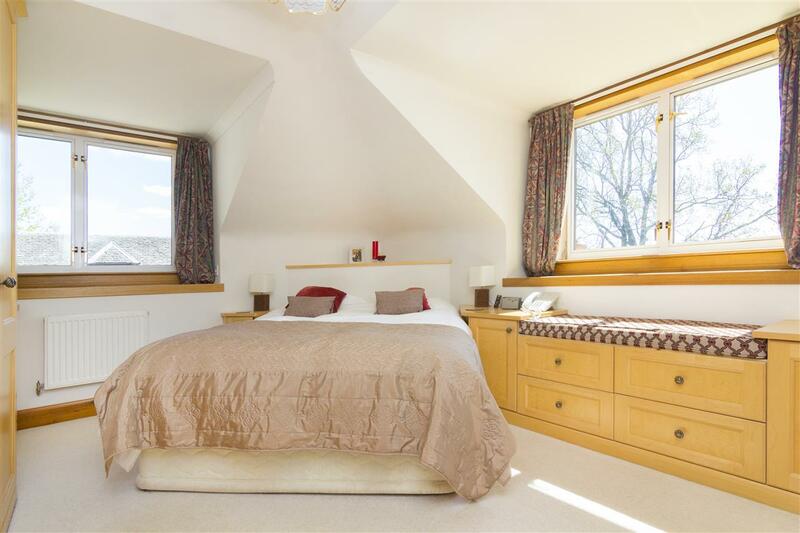 The front facing guest bedroom is a fabulous large room with French doors leading to a balcony. 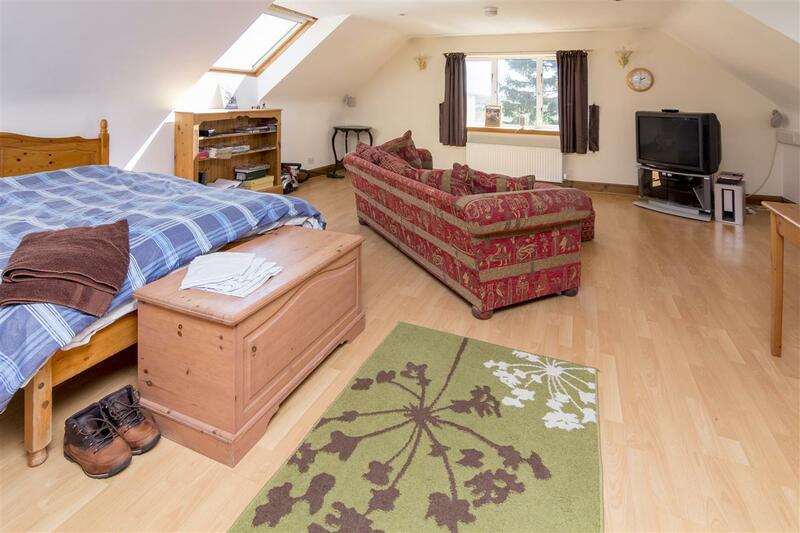 There is an en suite dressing room leading to the shower room and a fitted wardrobe. Bedrooms three and four each have en suite shower rooms. Bedrooms five and six are also double bedrooms, and bedroom five is currently used as a home office. 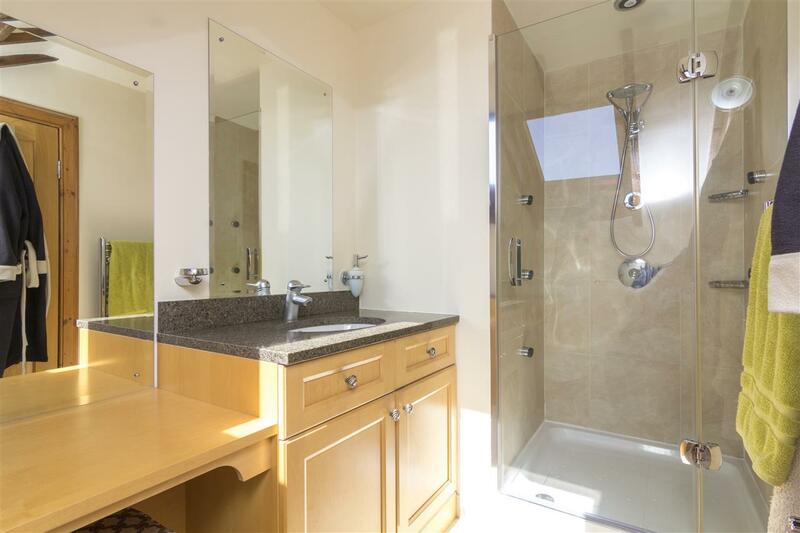 The family bathroom contains a white suite with over bath shower. The main property is completed by a large room with that contains an exercise pool and with ample space for home gym equipment. From this room, doors lead to a patio. The house benefits from oil fired central heating and double glazing. Hot water is supplied from the boiler and wood burning stove with three of the first floor radiators also supplied from the wood burning stove. There are power showers throughout. In addition to the security alarm there is a camera system recording images. 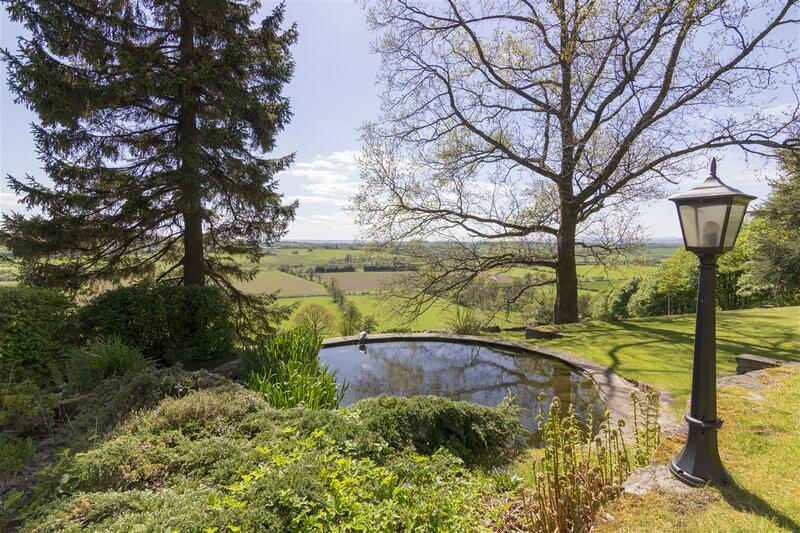 The house sits within beautifully laid out and well maintained gardens with pond and a lovely enclosed walled area between the main house and apartment. Integral to the main building is a double car port. There is also a greenhouse on the property grounds. 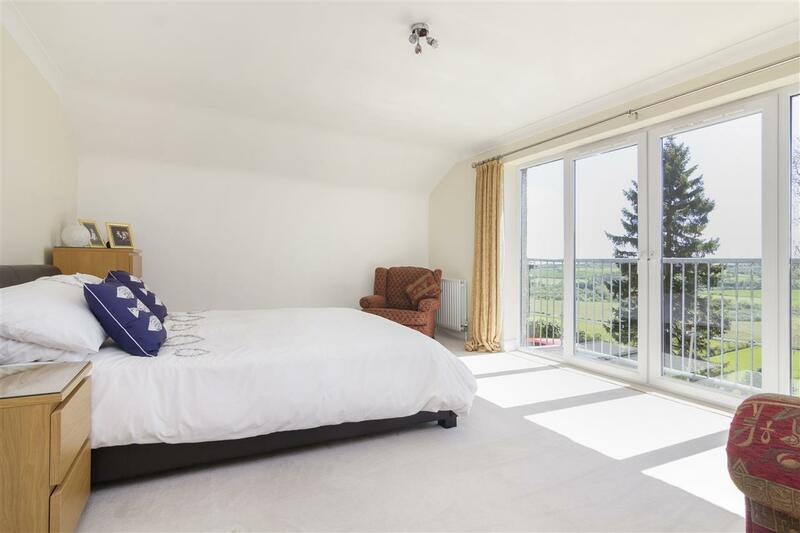 A particular feature of the property is the modern detached apartment that sits over integral double and single garages with an inspection pit. An external stair leads to the apartment. 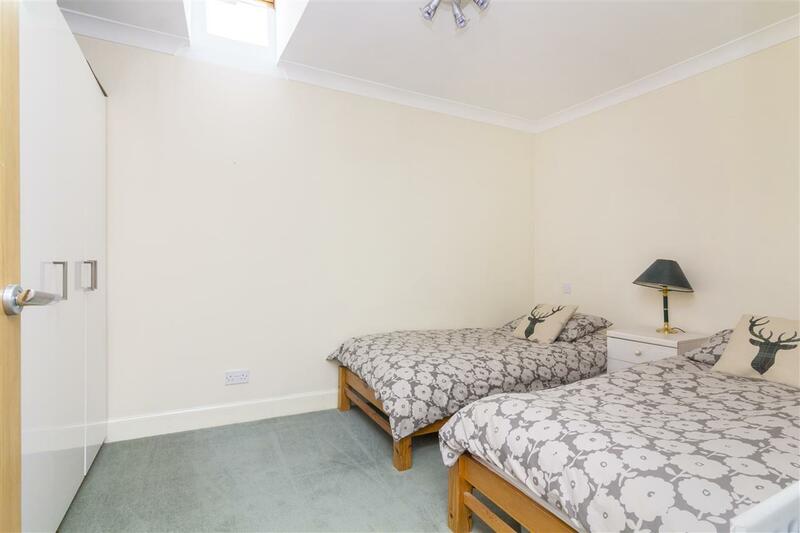 This is a particularly spacious area currently set out as a studio apartment with kitchen area and separate shower room, additional partitions could easily be erected. This area has its own oil fired heating system. This unique property offers the potential to generate income from the separate apartment or by using the house for bed and breakfast. 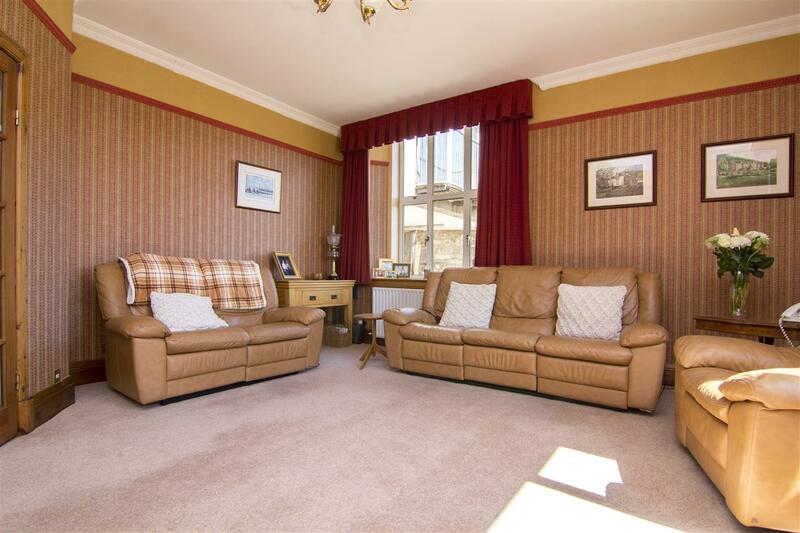 Fitted floor coverings and curtains are included. 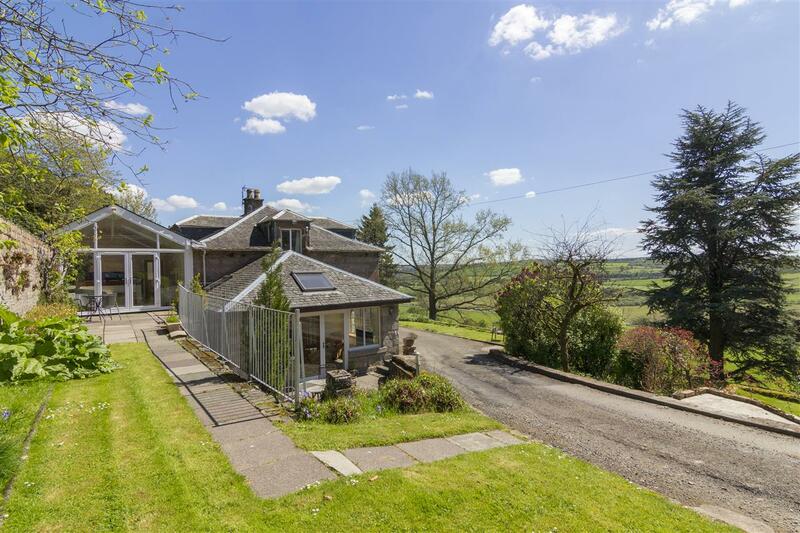 The Roundal enjoys a lovely country setting on the hillside between Alva and Tillicoultry. 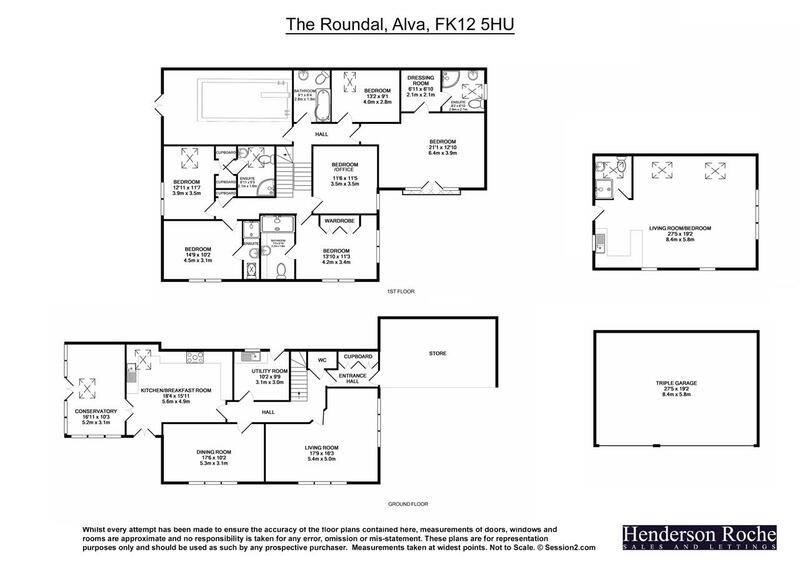 A great range of local amenities are available in Alva and other nearby towns. 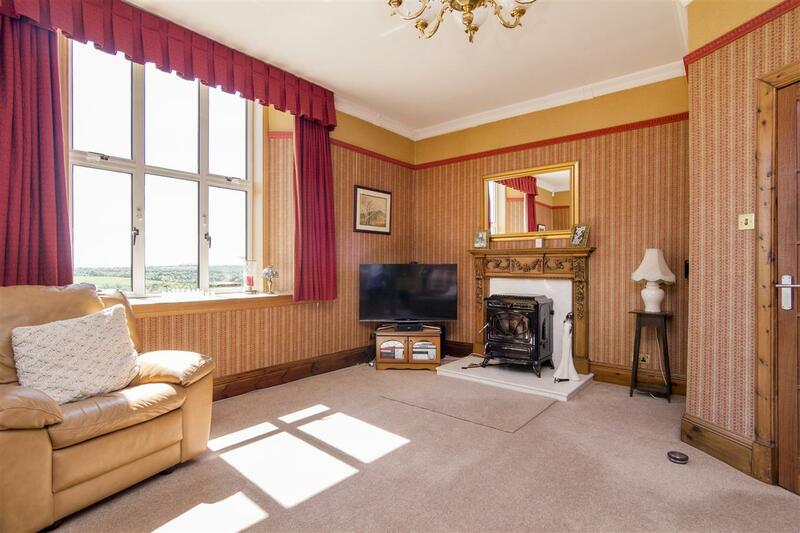 The property is conveniently placed for access to the City of Stirling where a comprehensive range of shopping, leisure and other facilities. There is also swift and easy access to the main motorway network allowing fast travel to the major population centres including Edinburgh and Glasgow. Well regarded primary and secondary education is provided in Alva. 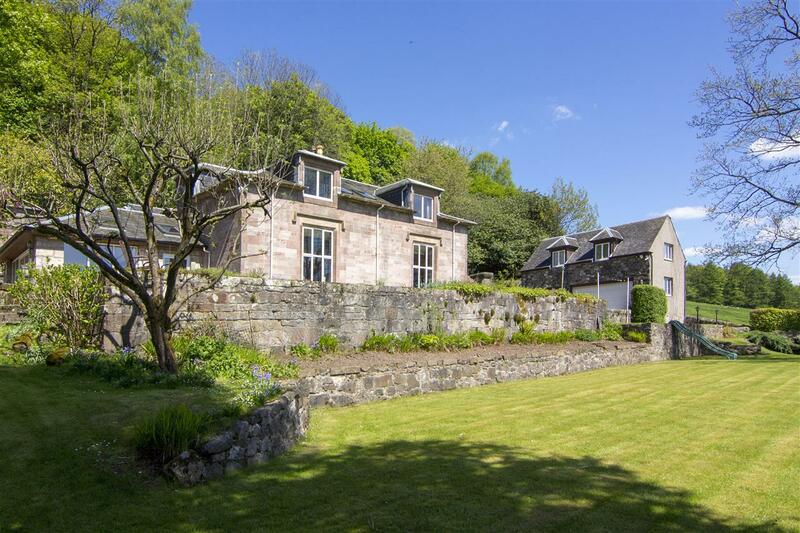 For those seeking education in the private sector Beaconhurst School in bridge of Allan is about 7 miles away while the renowned Dollar Academy is around 5 miles distance.